Reverse pull-ups with a narrow grip are one of the common variations of this exercise. Depending on the grip and the amplitude of the movement, you can focus the load on the upper back and arms. This exercise will help improve the appearance of the muscles of the upper body, increase muscle mass and strength, and also make your back more flexible and strong. 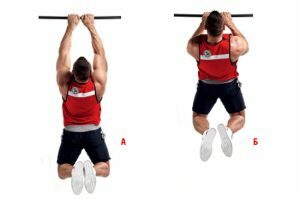 In this article, we will show you how performing pull-ups by a narrow grip, how to properly do them, and what kind of exercises you can replace them with. What muscles work during the exercise? By doing pull-ups with a narrow grip, you load the rhomboid and trapezius muscles of the back, the rear deltas, biceps and forearms. 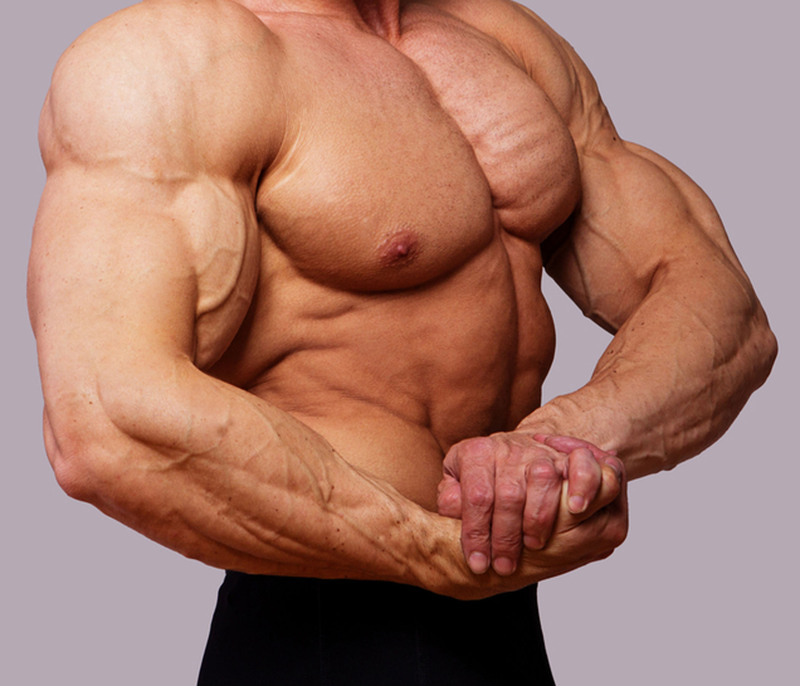 A narrow grip makes the muscles of the back work harder, along with the upper arms. By pulling up with a narrow straight grip, you are most heavily loading the arms, especially the forearms and brachialis. The widest back muscles are also built up with this method. If you want to build more muscle mass in your back, it is best to perform pull-ups with a wide grip and exercises with additional equipment. Traditionally, pull-ups are divided into 2 main types depending on the grip – the reverse and the straight. 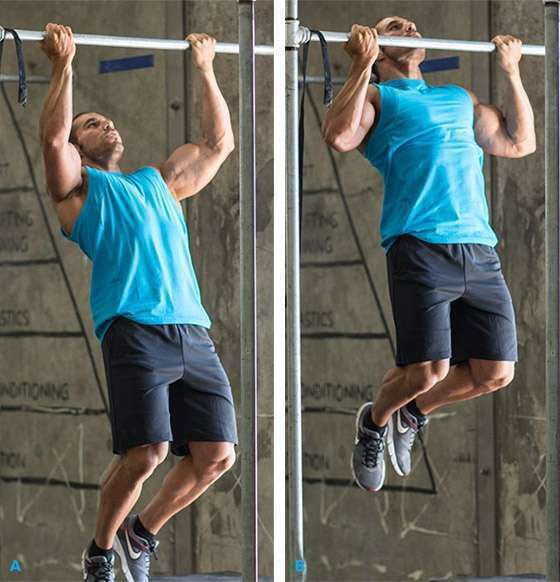 Let’s figure out how to do pull-ups with a narrow grip in both variations. Hang on the bar, turning the knuckles of your fists away from yourself. Use the closed grip for greater reliability, the thumb should grab the crossbar from below – this will reduce the load on the ligaments. The distance between the hands is about 15 cm. The back is completely straight, making a slight deflection in the thoracic region. A narrow grip combined with relaxed forearms and biceps gives too much strain on the wrists. When exhaling, start pulling the body up. Hands must move along the body. Try to pass the first 60% of the amplitude only through the work of the back muscles and only then include the biceps in the work – so the productivity of this exercise will only grow. 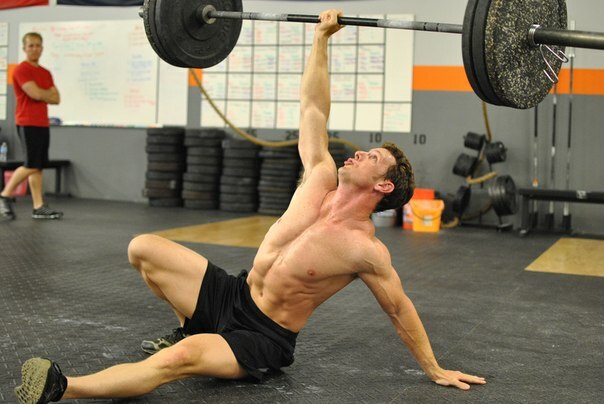 Continue upward until the chin is flush with the bar. You do not need to pause at the top. Gradually sink down, taking a breath. Fully straighten out and perform one more repetition. Hang on the crossbar and place the hands with the knuckles up. The back is straight, the view is forward or slightly upward. You can use both open and closed grip. When exhaling, pull up. When lifting the hand, you should spread it slightly to the sides, and not press it against the body – so you will get more repetitions in one approach. Try as much as possible to squeeze the crossbar in your hands to maximize the load of the forearms and brachialis. Go down and stretch your arms. How can you replace pull-ups with a narrow grip? Pulling on the bar with a narrow grip is an excellent exercise for the back and arms, but many athletes find it simply uncomfortable. First of all, this applies to athletes with a large body weight. It creates too much strain on the joints and ligaments of the shoulders, elbows and wrists, there is discomfort and pain. If you are experiencing a similar problem, itt is best to replace it with the pull of the vertical block to the chest. Almost every gym has a short handle, so you can completely simulate movement using both a straight and a back grip. In this way, it is much easier to concentrate on the work of the necessary muscle groups, and also there is no axial load on the spine. Also a good alternative to this exercise is a pullover with a dumbbell or on a vertical block. Pullovers also perfectly stretch the back muscles and do not involve other muscle groups.